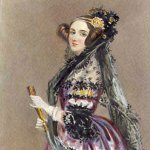 Ada Lovelace Day, celebrated annually on the second Tuesday of October, was created in 2009 in order to raise the profile of women in science, technology, engineering and mathematics (STEM) by encouraging people around the world to talk more about the scientific achievements of women. The holiday was named in honor of Ada Lovelace, a prominent English mathematician who is considered to be the first programmer. Ada Lovelace is known for her work on Charles Babbage’s early mechanical computer, the Analytical Engine. She translated a short article by Luigi Menabrea about the Engine from French into English and was later asked to expand it. Ada understood the Engine so well that her final article was three times longer than the original one, and she even wrote the first program for the Analytical Engine. Ada died at the age of 36 from uterine cancer. Unfortunately, the engine was never completed so her program was never tested, but Lovelace is still regarded by many as a prophet of the computer age.